I’m ALWAYS trying to help my clients make better food choices in the context of our crazy every day lives. I give them tons of handouts, book suggestions, websites, articles and blogs that can help inspire them. I know it’s not always easy to cook and prepare things at home and that’s why I LOVE when I find great resources that can help them. Well, I now have a brand new resource. 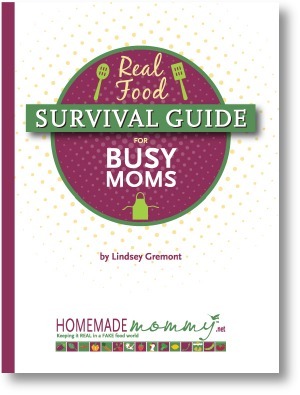 The Real Food Survival Guide for Busy Moms is written by Lindsey Gremont from the The Homemade Mommy. Her wonderful blog is helping moms all over the world seek out better quality food for their families. I love the tagline to Lindsey’s blog: Keeping it real in a fake food world. That is the essence of Lindsey’s blog and the essence of her brand new e-book. I just read finished reading it and let me just say that this is a great book for dads too! And don’t think that all of you busy single people out there can’t learn a lot from this book either. After all, single folks (self included) need help making real food in a timely and cost-effective manner too. 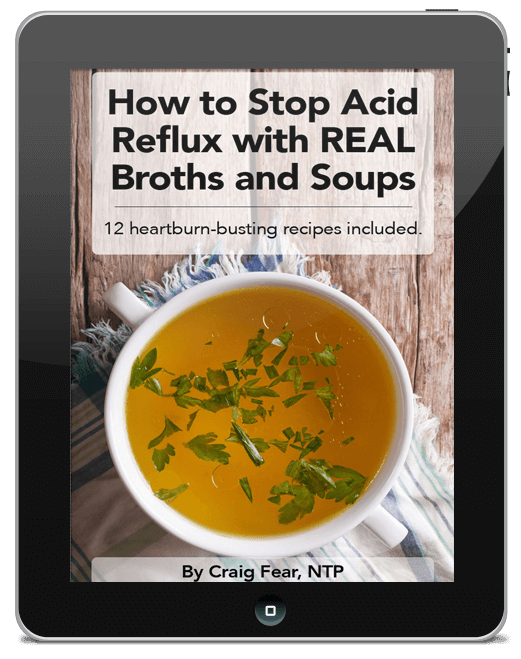 This e-book contains over 30 easy recipes to get you going with making real food a more regular part of your life. All of them are familiar, everyday recipes that we all grew up with. There’s nothing overly exotic and none of the recipes contain long lists of ingredients. They include recipes for snacks, breakfast, sides, condiments, stocks, main dishes and desserts. Because besides all the great recipes, Lindsey shows you how to make it all work even with a hectic schedule. Lindsey herself has a full-time job that requires her to travel frequently so she speaks from experience. Order The Real Food Survival Guide for Busy Moms Now!